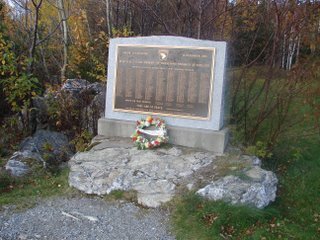 Yesterday David Kennedy and I went to view the Silent Witnesses Memorial just outside Gander, NL. 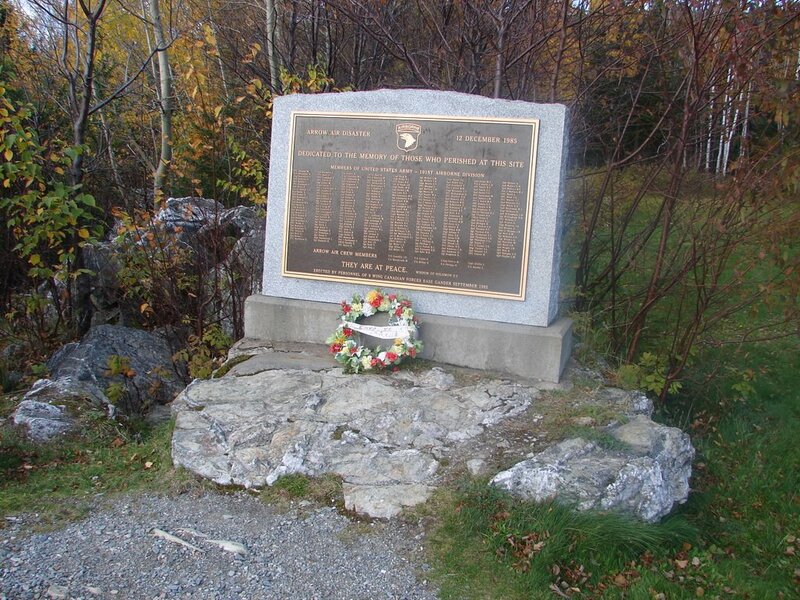 In 1985 a U. S. Air Force jet carrying over 250 soldiers re-fueled at Gander and then took off for an air force base in the U. S. The plane failed to gain altitude and crashed just before reaching the Gander River. The plane took out a swath of trees and brush before coming to a stop just before the water. Everyone on board lost their life. 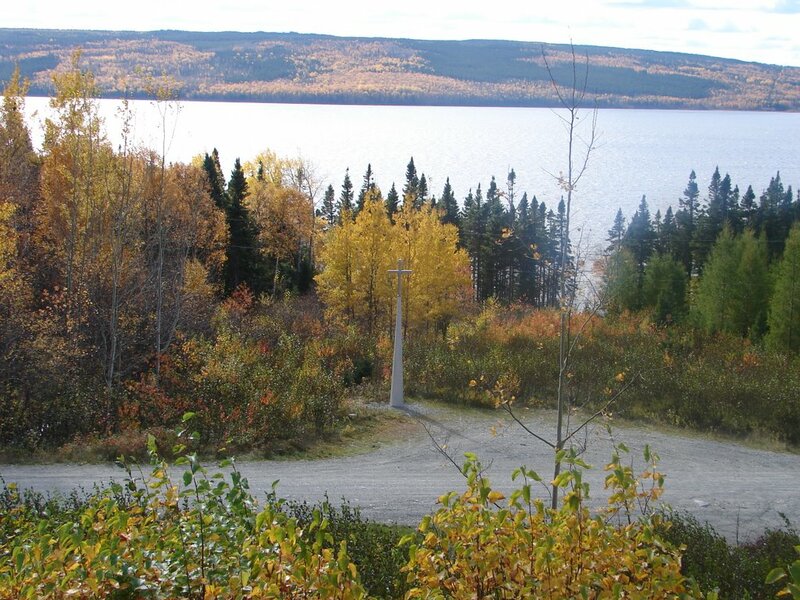 It was the worst air disaster ever to take place on Canadian soul. 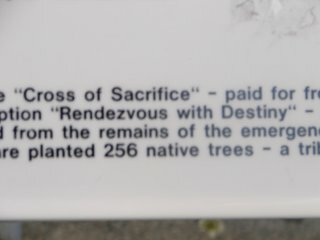 Two phrases on one of the plaques at the sight caught my attention. You can see them on one of the pictures. 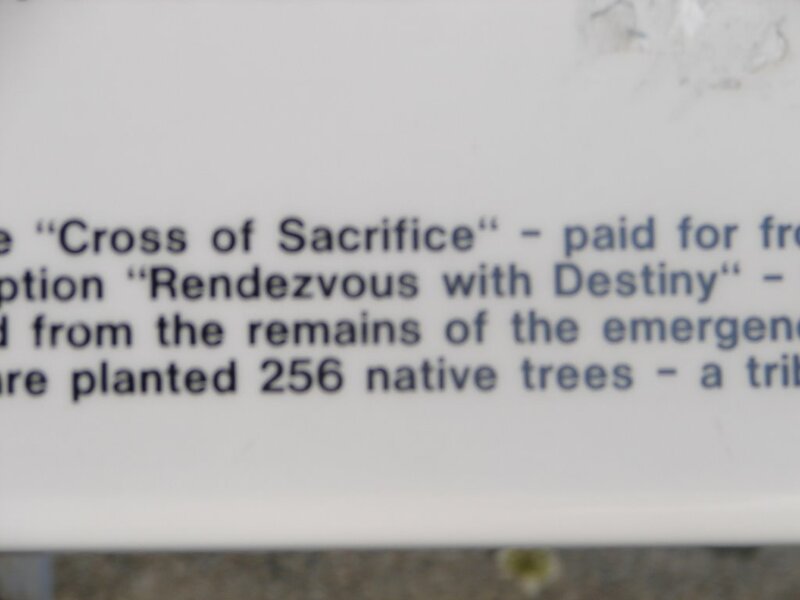 "Cross of Sacrifice" and "Rendezvous With Destiny". Can you think of any parallels in a "Christian sense"? I certainly can! Without the supreme sacrifice that Christ made at Calvary, my rendezvous with destiny would not be a joyful one but because He took my place, I look forward to a grand meeting in His presence...forever!